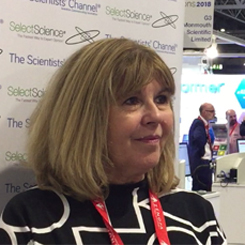 Maggie Philbin OBE, CEO of TeenTech, shares how her own interest in science began, leading to a career as a science reporter on television. Hear how TeenTech was set up to help thousands of young teenagers in the UK to recognize and develop their potential in the fields of science, engineering and technology. Working collaboratively with companies and universities, the company recently celebrated its 10th anniversary. Visit www.teentech.com to learn how you can get involved. Maggie Philbin has worked for over 30 years as a science and technology reporter, from Tomorrow’s World to Bang Goes The Theory. She has consistently worked to help improve diversity in Science, Technology and Engineering and co-founded TeenTech in 2008. She is President of the Institute of Engineering Design, Chair of the UK Digital Skills Taskforce, serves on the STEM Commission for Haringey and is an honorary member of the Women’s Engineering Society.